Dr. Steve Berkowitz has over 25 years' experience in health care management and consulting. For 13 years, he was the Chief Medical Officer of St. David's Healthcare, a six-hospital system in Austin, Texas, as well as the Chief Medical Officer for the Central and West Texas Division of HCA, which also included facilities in El Paso. Steve was also Chairman of the Board of Capital Area Providers, a 5.01-(a) Texas medical foundation with over 800 participating physicians. During this time, St. David's achieved national prominence in mortality reduction, CMS core measure performance, STEMI times and VTE prophylaxis. In 2008, St. David's won the Texas Award for Performance Excellence, an award based upon Baldrige criteria. Prior to this position, Dr. Berkowitz was National Practice Leader for Physician Services with the HayGroup. During this time he assisted over 75 major healthcare clients throughout the USA and Canada in the areas of strategic development, physician integration, physician compensation/incentives and medical practice management. 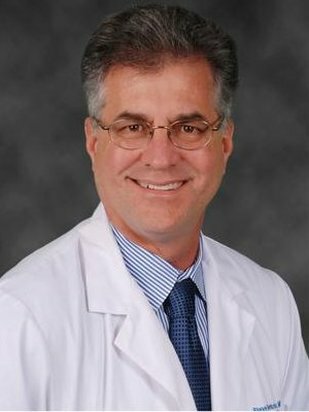 He was a senior executive for Harris Methodist Health System serving as Medical Director of the HMO and Chief Medical Officer for the integrated delivery system. He began his administrative career as Medical/Executive director for The Travelers in Phoenix, Arizona. In February of 2014, Dr. Berkowitz was appointed by Texas Governor Rick Perry to serve as Chairman of the Board of the Texas Institute for Healthcare Quality and Efficiency. He also sits on the Board of the Texas Association for Healthcare Quality, the Society of Cardiovascular Patient Care, and has served on the board of the Texas Hospital Association and the Texas Health Care Information Council. It is increasingly clear that impending health care reform and the resultant pressures of accountability and cost control will challenge even the best organizations to achieve superior outcomes. Maintaining superior quality is essential in an era of consumer choice and data transparency. It is possible to achieve excellent quality and safety outcomes, and deliver a favorable bottom line. But these processes are all interrelated, and interdependent. Success in one is dependent upon success in the other two. Dr. Berkowitz will discuss the challenges of clinical integration including data transparency, best practice implementation, excelling at Pay for Performance and enlisting physician support while showcasing national best practices in "integrated integration." Turbo-Charging Quality: Delivering Superior Quality in Health Care Reform - Despite unprecedented pressures for cost control, data transparency has improved quality faster than ever before. The ability for an organization to embrace this transparency is essential for continued improvement. The need to incorporate best practices into the daily practice of medicine is emphasized, at the same time understanding the need for individualized care. Excelling at pay for performance is more critical than ever. Continuation of care through the entire system is emphasized. Dr. Berkowitz will outline the ten critical issues that must be faced in order to ensure excellent quality in the turbulent times ahead. Physician Leadership in the New World Order...or, "I Didn't Sign Up for This" - The classical model of patient care puts the physician in the autocratic position as the "captain of the ship." The new health care models are drastically changing the roles and responsibilities of the physician. Leadership as a physician has taken on new areas of responsibility that we "did not sign up for" in medical school. Dr. Berkowitz reviews the four areas of physician leadership, both internal and external, in this new world. Five Game Changers in Healthcare for 2017 and What To Do About Them! We know that in addition to the pressures put upon health care organizations to achieve superior quality, satisfaction and deliver cost-effective care, we now have the implementation of the ACA. This brings new market and regulatory forces into the access and delivery of care. If that's not enough, we will also see some game-changers with unexpected health care consequences. Dr. Berkowitz will discuss 5 key game changers for health care quality in 2017 and what hospitals and physicians must do to prosper in this new environment. Hospitals and physicians across the United States are grappling with how to best develop an infrastructure to work together. There still exist many inherent unaligned incentives and market uncertainties that have plagued the progress of many integrated systems. Are the establishment of ACO's the "end game?" Unfortunately, we sometimes ignore the very fundamentals of relationships--and this can cause any infrastructure to succeed or fail. Dr. Berkowitz will review successful models and outline specific challenges in building and LIVING in that house. The end game of clinical integration is the ability to successfully manage the health of the community we serve. In reality, it is a daunting task requiring the integration of the delivery system as well as community efforts. Patient empowerment (and responsibility) is an imperative. Dr. Berkowitz will discuss the road to successful population health management, discussing eight major challenges we face. All hospitals are facing unprecedented challenges with the pressures of cost reduction, maintaining quality / patient satisfaction, and developing integrated networks of care. The rural and community hospital has unique challenges in these arenas, which can ultimately effect the very viability of the institution. Trustees have more responsibilities than ever before. Critical decisions regarding service lines, medical staff availability and engagement and tertiary care support are now top of mind. Dr. Berkowitz will discuss these issues and offer best practices on how the community hospital can continue high quality care throughout these difficult times. When I was in Medical School, we were simply trained to do things "My way or the highway." Over the last several years, the media and the Internet have vastly changed both the volume of knowledge and the accessibility of that knowledge to every stakeholder in health care. Increasing deductibles have made the patient more personally responsible and accountable in health care decision making, and patients are choosing where and when they want care. Medical decisions will no longer be made only by the physician. Health care will truly be delivered by an informed team working as a team- including the patient. Dr. Berkowitz will discuss how organizations can thrive in an environment of informed decision-making and high health care literacy.